Keep pesky bugs at bay with the Thermacell Halo Mosquito Repeller. Mosquitos no more! Repel those pesky bugs with Thermacell Halo Mosquito Repeller. 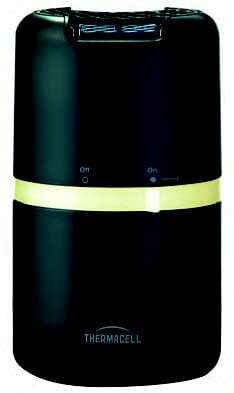 Thermacell Halo Mosquito Repeller provides odorless, invisible, continuous protection from mosquitoes. Easy to operate, the Halo has a 48-hour fuel system, as well as a Zone Check System that presents a visual indication of the mosquito-protected area. With its sleek, contemporary design, the Halo complements every outdoor living ensemble. Color options include white, gray and brown/black.